Use this roll of chalkboard paper as a table runner, art background or anywhere you want to add a little creative fun. Are you looking for a fun decorating idea? Or, are you trying to create a large chalk art project? 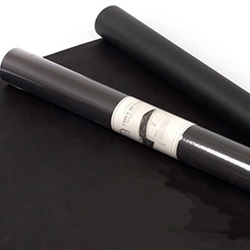 This roll of chalkboard paper is perfect for you. Roll the paper over the top of a dining paper as a food-safe table runner. 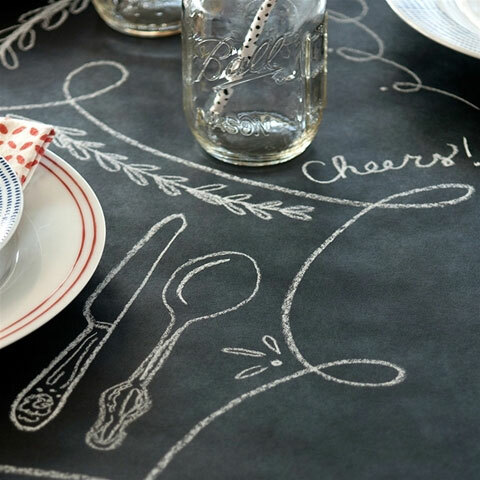 Then use the chalk to decorate place settings. Or, roll it out for kids to make a huge mural. You can even cut the paper to any shape or size to make your project truly unique. Also use as gift wrap, placemats and menu boards- the possibilities are endless! Use chalk markers to make your project one-of-a-kind.